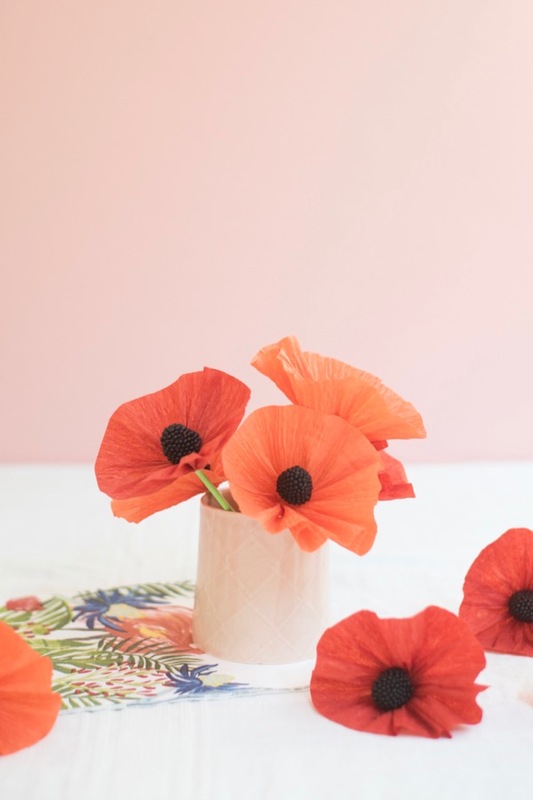 August’s flower is the bold and colorful poppy. 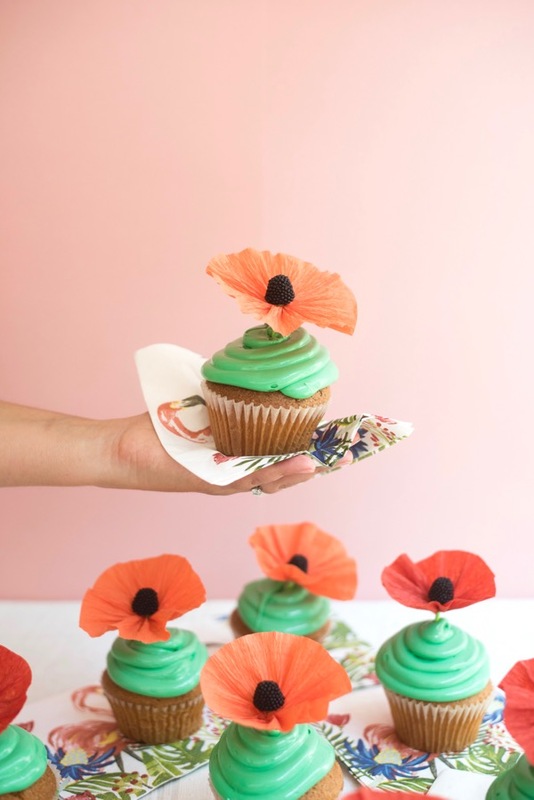 This crepe paper version adorns cupcakes – but instead of fussing with a hard-to-fashion center, simply pop on a black berry candy, and you’re done. The bonus is you get to eat the red ones that also come in the bag. 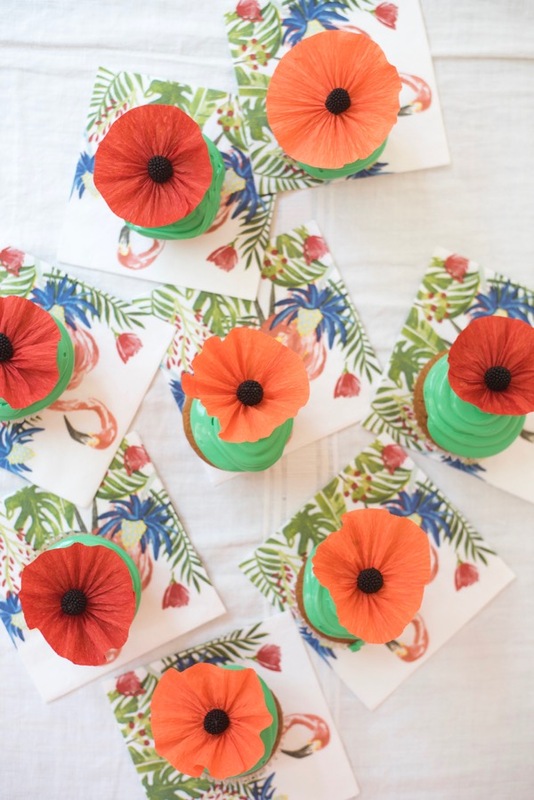 Materials needed: orange and red crepe paper (streamers or sheets), scissors, thread, needle, Haribo berry candy, green cake pop sticks, hot glue gun. 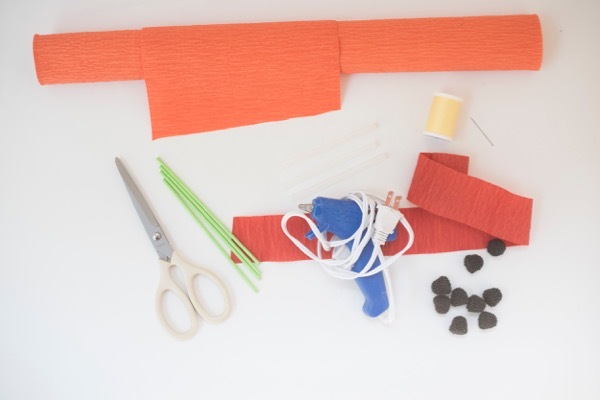 Step 1: Cut a 12” piece of streamer, or a 12” x 2” piece of crepe paper. 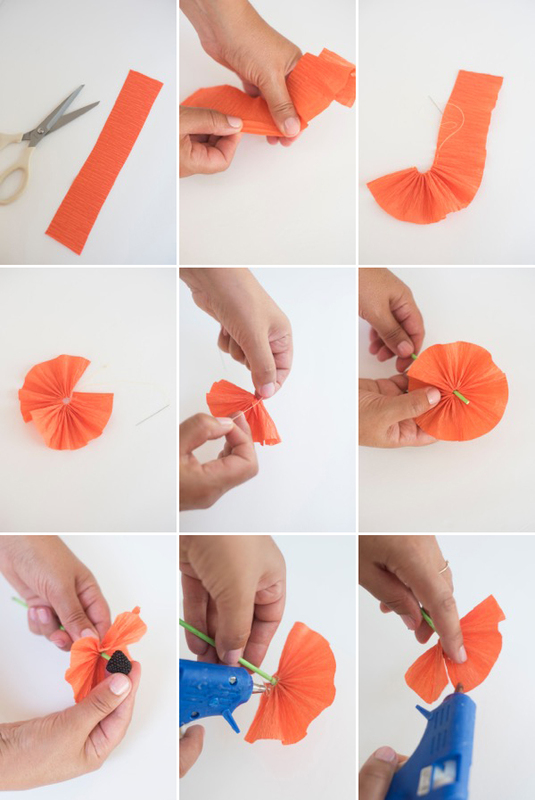 Step 2: Gently pull along one edge of the crepe paper, creating a little ruffle by stretching out the paper (this works better on the sheets than the streamers). Step 3: Take a threaded needle and begin a running stitch (in and out) along the straight edge of the streamer. Make about 6-8 stitches, and then pull the thread gently through the paper. Step 4: When you get to the end, leave some thread hanging. Pull the thread from each side, gathering the paper together in the center of the thread. Step 5: Carefully tie a triple knot in the thread, joining the two sides of the paper. Gently open and fluff the flower around the knot. Trim the ends of the thread. 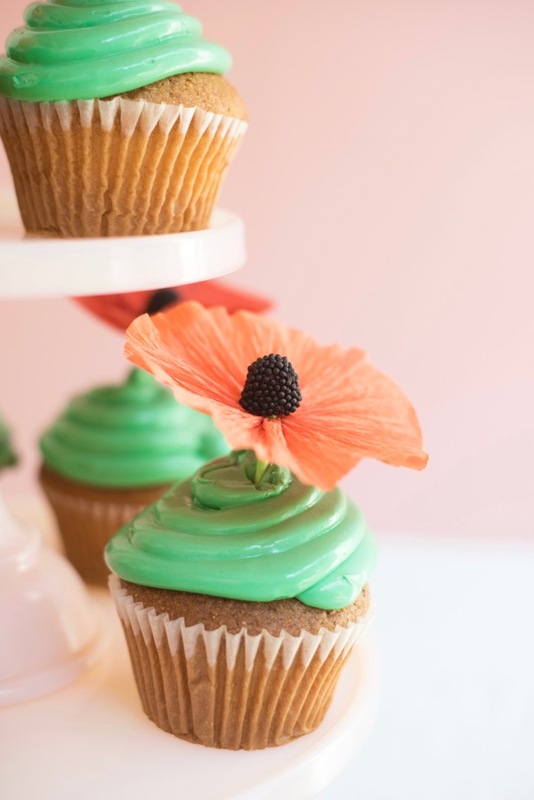 Step 8: Apply a tiny dab of hot glue under the flower to keep it attached to the cake pop stick. Step 9: If needed, apply a tiny dab of hot glue to close the edges of the flower together. 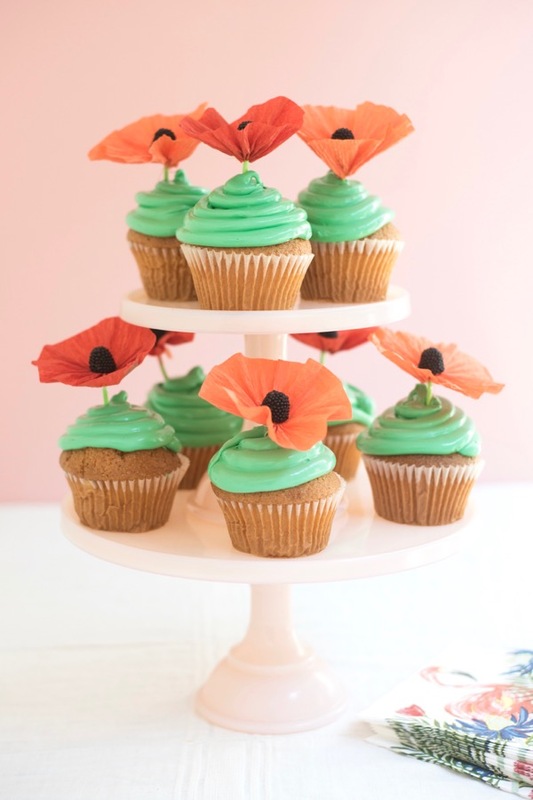 Poppies are my second favourite flowers, so naturally I love those cupcake toppers! 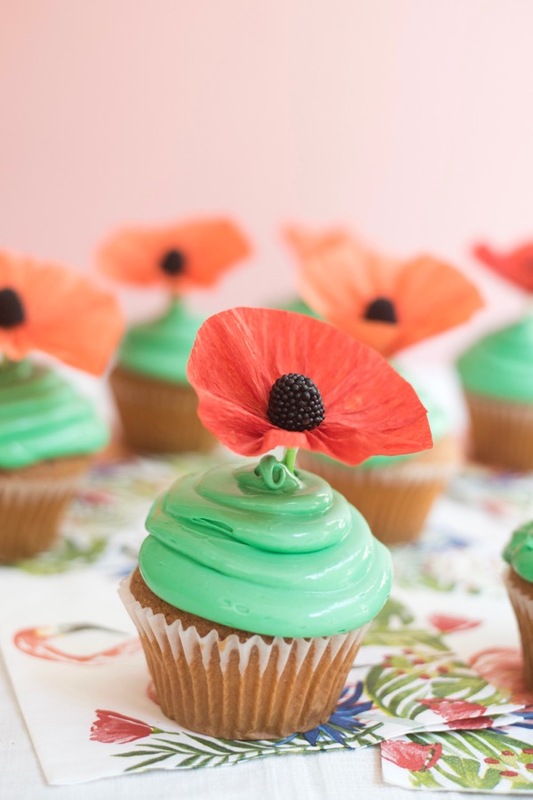 So simple and yet so beautiful!